If I was told I’d write about an iron or review one, i’d laugh and tell you what’s technical about an iron. 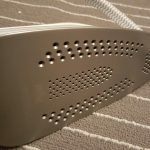 But then I was sent the Braun CareStyle 5 ironing system, the IS 5043 model to be exact, which I was told it’s the top of the range also, costing around £220 to buy. Ironing for me and many other people out there is a chore to me and unless I have a date, meeting or an interview, I don’t really care too much about perfect ironing. All that was about to change when this ironing system turned up. The packaging is very simple, with nothing to put together besides taking it our, discarding the packaging and plug it in. 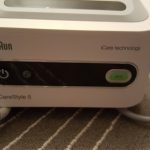 You can even ditch your old one because the CareStyle 5 ironing system is definitely a keeper. 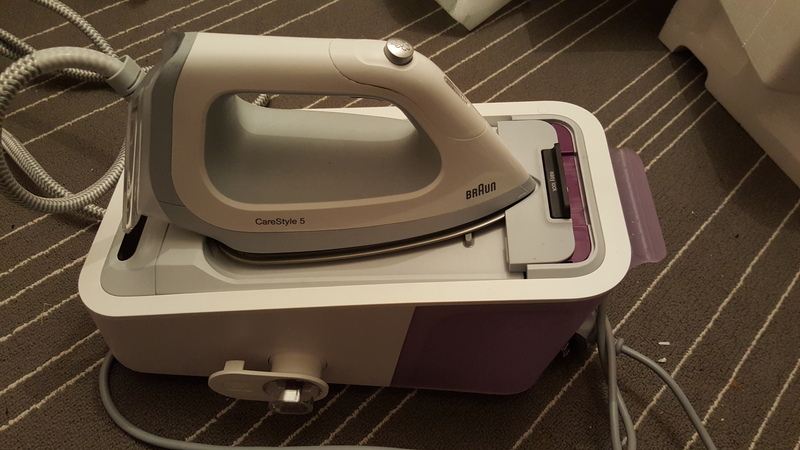 The iron itself doesn’t have much to it, it has two buttons, one at the top and one underneath the handle. The top button is for a direct steam control while the other one just let’s it steam up your cloth using all it’s holes. 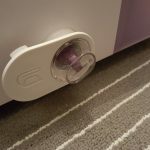 The base system also includes a couple of buttons, one for switching it on and the other for eco friendly usage and cleaning. On the side of the base or water tank, you have a placeholder for folding away the cable, which is really handy. 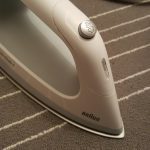 The water tank will hold 1.4l of water, it has a 10 minutes auto shut down function and a 1.8m powercord to ensure you have the freedom to iron. 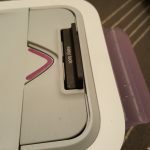 The plate is made of a fancy name called Eloxal 3D, allowing the surface to glide over any textile surface, even zips and any other obstacles, so it’s basically really smooth and makes it every so easy to iron anything. 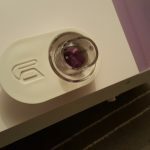 The base also comes with a nifty locking mechanism, so for home safety, it’s practically impossible to knock it off the base and with the added rubber grip at the bottom of the base, it won’t move anyway when placed on a surface. The water tank is also tap water ready, so you don’t have to worry about corrosion and scaling. Right, let’s get to the exciting part or the technical part. 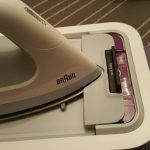 Braun uses a technology called iCareTec; it is designed to automatically and intelligently regulate the iron’s temperature, no matter which fabric it’s gliding over. It offers a smart textile protection for faster, more efficient and carefree ironing. iCare technology sets the perfect temperature for every fabric. 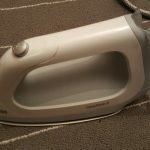 When I was told this, I was first skeptical, but once I started using it on all the fabric types I could get hold of like denim, delicate shirts, thick towels and more, it was so smooth and in fact, I over ironed some that the small creases I didn’t notice before, I began to notice them more. The other outcome of this great piece of tech is how much time was reduced on ironing, it could be easily quantified as cutting down around 40% of time spend on each garment, simply because I didn’t have to worry about zips, fabric type, what temperature I had to set it at or anything else. So do I recommend it? Definitely yes, hell yes! It just works, it glides like sliding on ice. 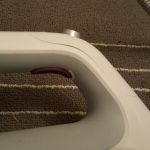 It irons very well and although pricey, you get what you pay for. 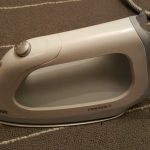 By the time you spend money buying and replacing other type of iron systems out there, you might as well commit and get something worthwhile, saves time and reduces the chore feeling of ironing, all while keep your fabric safe.